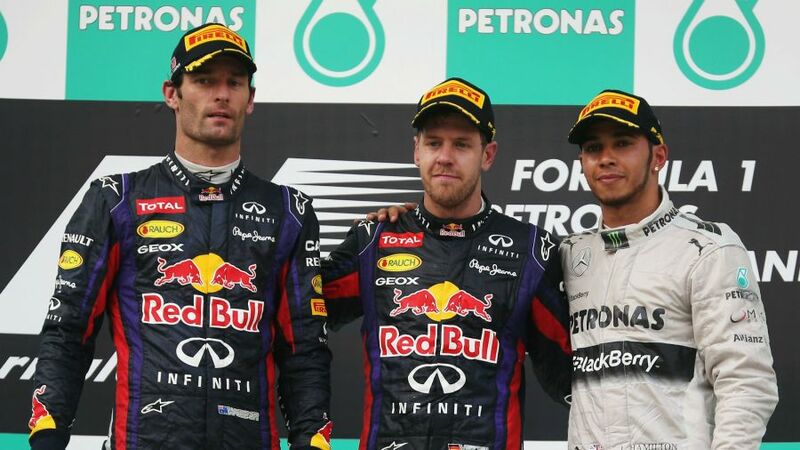 Sebastian Vettel's hugely controversial "multi 21" victory at the 2013 Malaysian Grand Prix was inspired by the German taking revenge on his Red Bull team-mate Mark Webber, Christian Horner revealed. 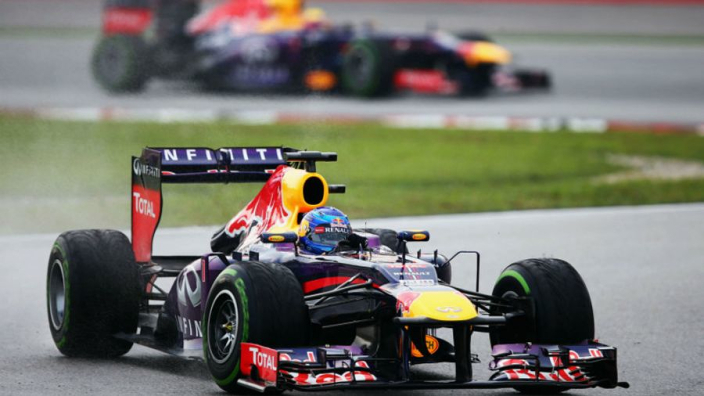 Vettel defied team orders to overtake Webber late in the Sepang race, deepening a rift between the pair. The infamous "multi 21" order came to both drivers - meaning car number two, Webber, would remain ahead of car number one, Vettel, for the remainder of the race. However, Vettel barged his way past his team-mate with 13 laps to go and won the race to immediate acrimony from his stable-mate and team alike. Horner explained how the move had perhaps been premeditated, as Vettel sought retaliation to a similar incident the previous year. "It probably culminated at the end of 2012 when Sebastian was fighting [Fernando] Alonso for the championship," Horner told F1's 'Beyond the Grid' podcast. "Mark squeezed him up against the wall on the start of the race in Brazil in the championship decider that ultimately resulted in him getting turned around by Bruno Senna and blah, blah, blah. "Sebastian was hugely angry about that, because we'd discussed it before the race that Mark wasn't in the championship. It was 'do everything possible to support your team-mate' and that day he chose - instinct kicked in - it was probably totally foreign to him to think 'I don't want to support this guy'. "But then there was a hangover of that that led into Malaysia, literally two races later, split by about five months. "So then you've got a situation where you've got Mark in the car ahead, Sebastian on new tyres in the car behind. Tyres were pretty fragile, we're telling them 'Right, hold position'. Asked if it was payback for Interlagos, Horner replied: "100 per cent, 100 per cent. He told him that after the race when they sat down in China, so that was probably about as tense as it could get."